Sometimes you want to communicate more information than you can fit on a standard business card but not so much that you need a brochure. A rack card might be just the right solution. Rack cards are a unique promotional tool often used for tourism related business. 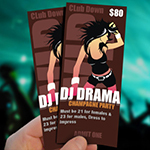 We offer low cost event ticket printing to promote your next big event. 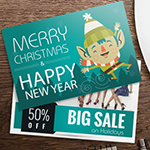 Print rack cards with a collage of eye-catching images on one side and use the reverse side to convey information, or print both sides in full color. Whatever design your mind can think of we can print! A rack card is a hand-friendly format that potential customers instinctively reach for. Ours are printed on stiff cardstock that will display well when placed in a literature rack. The brilliant white paper is a great canvas for your color photography and ensures that colors print true. Rack cards are commonly used to promote tourism and travel-related businesses such as hotels, theme parks, museums and attractions. However, they can also be used to promote a wide range of other businesses and services for coffee shop, spas, restaurants, schools, services, dry cleaners, car washes, theaters, events, pet services and more. 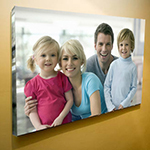 With our custom full color photo canvas printing you can show off beautiful pictures throughout your office or home. Restaurants can list their take out menu. 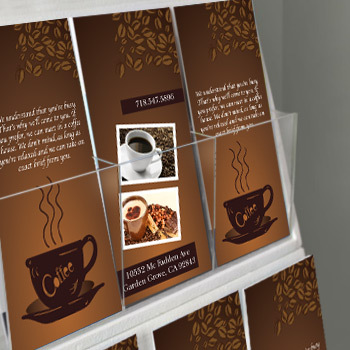 You can even add a perforation to the bottom portion of your rack card for a tear off business card or coupon. To impress your clients, look for high quality rack card printing from a reliable company like Printing Xpert. We have 4"x9" rack cards printed on a 14pt. cardstock with coating on both sides. You may choose between glossy or matte finish for your design. Glossy coating is resistant to fingerprints and smudges while matte finish gives an elegant look. You can have one or both sides of the cards printed, depending on your design. 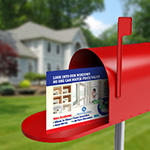 Rack cards provide a convenient format to promote at your place of business. This flexible format can be displayed lying flat or in a rack, by a cashier or on a desk or table. One of their great virtues is that they're highly portable-not just for the customer, but also for you. Maximize use of color and photographs. You only have a second to catch the eye of a consumer passing your rack card display and you will want to make the card something they pick up and enjoy visually. The top portion of the card needs to include either your logo or the title of the card’s content, and an eye-catching colorful image. Maximize use of unique, original photos of your business or subject matter, minimizing use of stock photography when possible. A good tip for inspiration: visit rack card displays and notice the cards that pop out and make you want to pick them up — study those! Brand your work. Rack cards are a “high touch” marketing tool, and many people will see your card, even if they do not pick it up and carry it with them. It is essential your rack cards are designed to maintain the standards of your brand in both color, quality and content. To select a generic template online that does not match your brand, or to throw together a quick layout may save you money in the short run, but will establish a perception that is confusing and/or negative to many potential clients or customers. Focus your content. Before you begin to write copy, be clear about the message you want to relate and your target audience. A specific message, directed to a specific type of consumer, increases your card’s chances of being picked up and remembered. Practice defining the subject of your copy in five words or less. If you can’t do it effectively, you need to narrow the focus of your subject matter. Don’t limit print with low-tech assumptions. Printed pieces are a time-proven means of getting your information into the public. But they can now be the essential link between a hands-on contact and your online marketing. Use QR codes on your cards to drive traffic to online promotions or websites. You can then track exactly who, by clicking their smartphone’s camera, is coming to your site, and judge the effectiveness of your rack card promotion. At the very least, include your web address and direct people to find you online. Multipurpose. A run of rack cards can and should be used in several different ways to maximize their effect. You can arrange a display at your business and find as many appropriate places as possible in public areas to display your cards. Ask vendors, neighboring businesses, and related but non-competitive businesses if you can leave some cards in their lobby. Also, use the cards for bulk, targeted mailings. Don’t forget to include the basics… and proofread! You have limited space left after your photos and branding but you need to include the information a potential customer will need to contact you. Include a map (they are easy to get your hands on these days) to your location. If you want to push traffic to your website instead, replace the map with a LARGE version of your web address and a QR code. Phone numbers, fax numbers, mailing address… check and double-check for errors. The amount of waste due to one misplaced character is incalculable. "I was pleased with the order of rack cards that I purchased. They were printed flawlessly and arrived promptly at my door"
"The Rack Cards have been noticeably brining in more customers to my hotel. Thank you for a job well done"
It's "ultimate" shine that features a fade-resistant UV coating that gives more protection to the card.